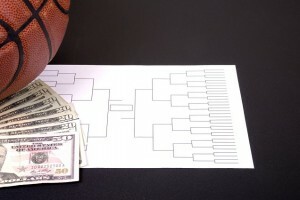 In this episode of Thinking Like a Lawyer, the Legal Talk Network takes a look at running an office bracket pool. But it turns out that gambling is illegal in most states. Why is that the case? Should we live in a world where we have laws that nobody even tries to enforce? Legal Blitz founder Steve Silver recently joined Above the Law editors Elie Mystal and Joe Patrice to explain how we’ve gotten to the point where nearly every office worker in America breaks the law every March. Tune in here. This entry was posted in Articles, Uncategorized and tagged gambling, NCAA, sportslaw. Bookmark the permalink.